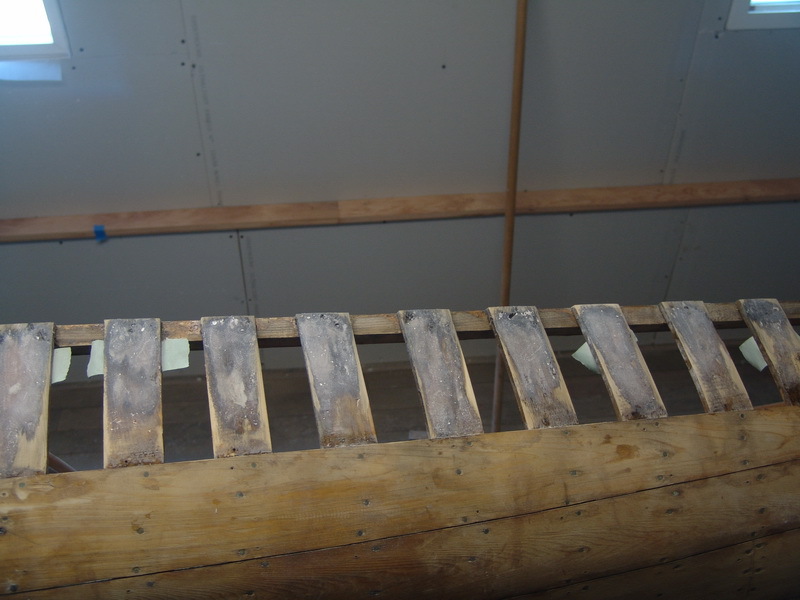 After dragging the Faber home and getting it up on a set of canoe stands my first step was to remove the outwales and the remaining fabric. 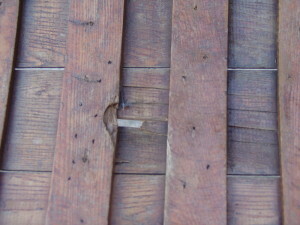 Faber used regular (not stainless) staples to attach the fabric under the gunwales and along the stems. Forty plus years later they were a mess. It took me almost four hours to remove all of the staples. Many of them were rusted through and had to be pried and pulled out with pliers and vice grips. Moral of the story, if you must use staples on a canoe, don’t even think about using anything but stainless. 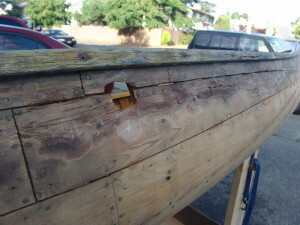 The starboard side outwale was rotted right through and the ribs and planking in behind it had also suffered serious rot. 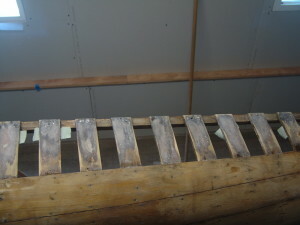 The top several inches of both the bow and stern stem bands were completely rotten. Also, where the fabric had been stapled in place along the stems, water had got in and the outer 1/4 or so was damaged and rotting. A hole had somehow been punched through the bottom from the inside of the canoe, damaging one of the ribs and a chunk of the bottom planking. My next task was to clean and sand out the worst of the interior. I loved the aged, antique look of the the Faber’s interior and didn’t want to take that away by fully stripping and bleaching the wood. When I removed the keel screws I discovered yet more rot but it wasn’t as bad as the damage done by storing the canoe on the ground. 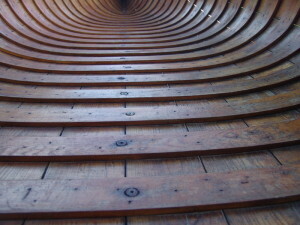 Because of the way the Faber had been stored, resting on one side up against a wall, the rib rot was all on the outer side of the rib. In order to preserve the look of the canoe I elected to grind out the rot and repair the ribs from the underside, filling them with epoxy glass and new wood as required. 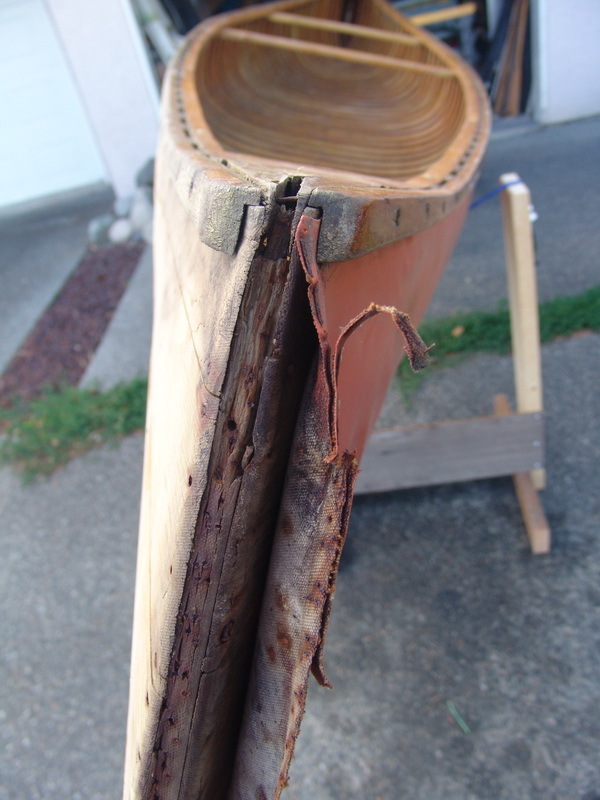 I’ve yet to see a canvas covered canoe, no matter how pristine it’s outward appearance, that didn’t have at least some rot in the upper part of the stem band. 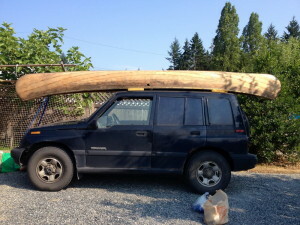 The problem being that when a canoe is store upside down this is the low point of the canoe. 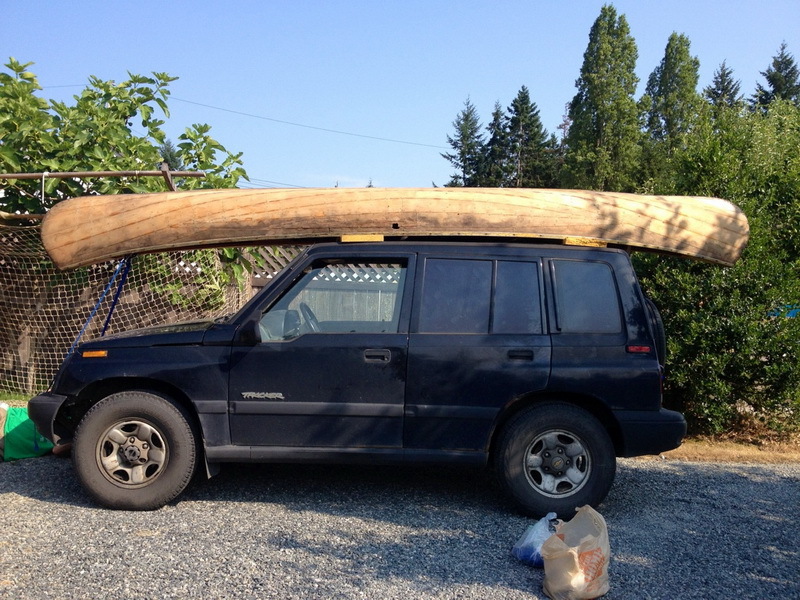 If there’s one drop of water left in the canoe it will end up here. If it’s left outside overnight. and dew forms, it will drip here. 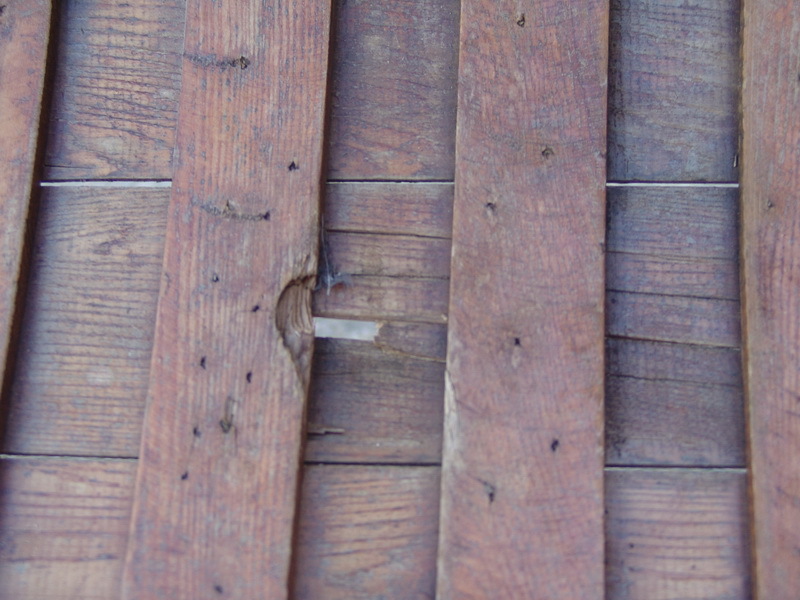 Typically stem bands are formed from ash or oak and, like most hardwoods, they are less rot resistant then the surrounding cedar. Therefore, this is one area I feel completely justified in using composites to make my repairs. On the Faber I replaced the upper 2-3 inches of the stem band with epoxy and glass. 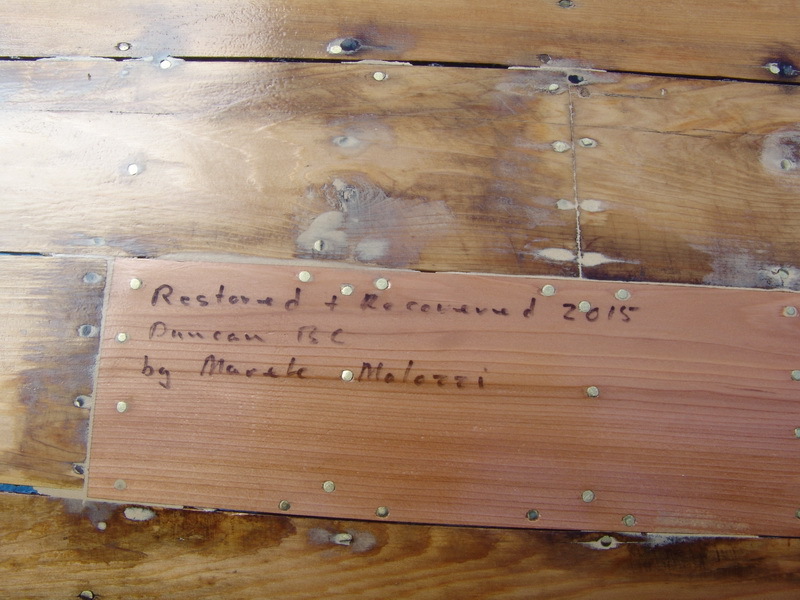 The planking, although water stained in places, was in relatively good shape except along the side where it had been sitting on the ground. 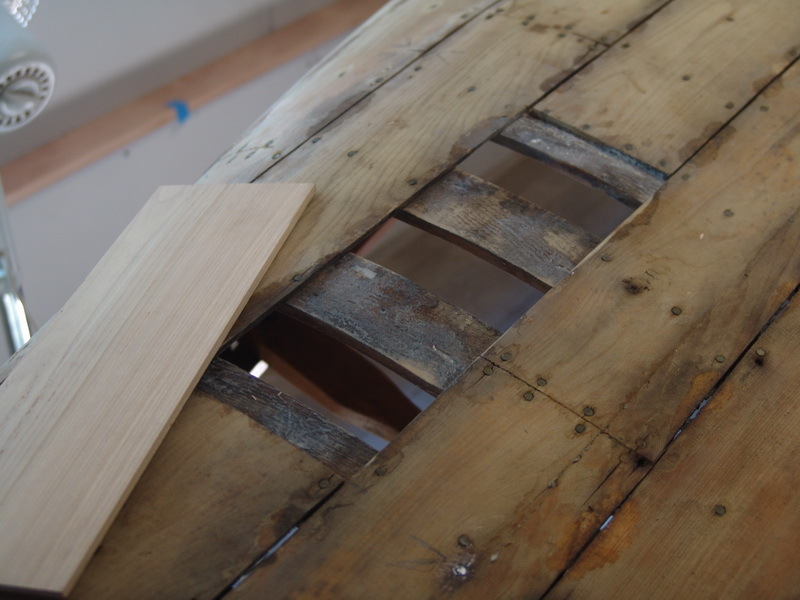 I therefore only replaced a few planks at the side, where the hole had been punched through the bottom, and where I’d had to cut them away at the bow and stern to repair the stem bands. 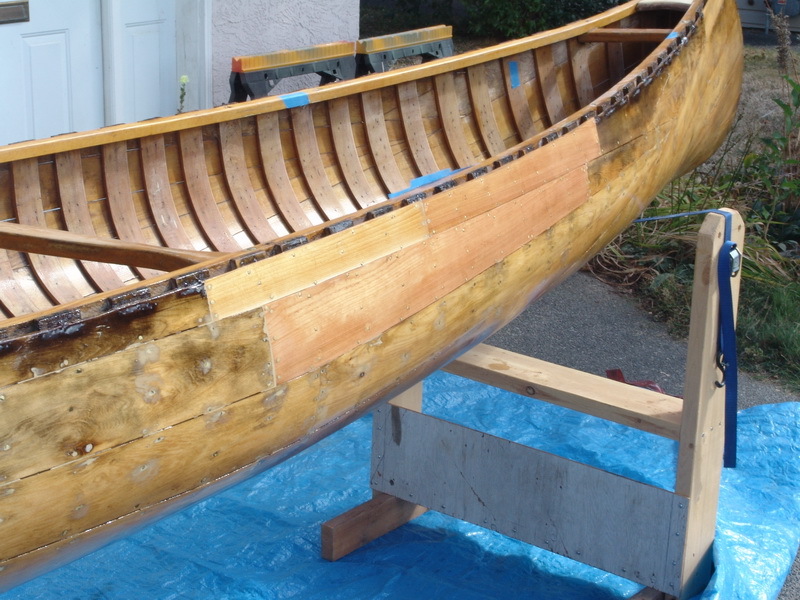 The entire outside of the canoe was then sanded and treated with an epoxy sealer in preparation for re-covering. 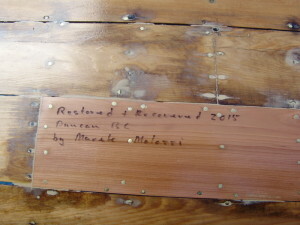 You can read about the covering process in my post It’s a Bird, it’s a Plane, NO it’s a CANOE.